Plans have been swirling around to adapt Stephen King’s The Dark Tower for a decade. Nothing ever really came from those talks until today. The rumored project has been in the hands of J.J. Abrams, Damon Lindelof, and Ron Howard, leading up to the finished product with Danish filmmaker Nikolaj Arcel finally settled into the director’s chair. It has been shopped around at both Universal and Warner Bros., with Sony Pictures acquiring the franchise in April 2015. Aside from Baby Driver and Spider-Man: Homecoming, 2017 has not been kind to Sony. Can the studio win over some new fans with the long-anticipated The Dark Tower or is this just another misfire? Roland Deschain (played by Idris Elba), the last Gunslinger, is locked in an eternal battle with Walter O’Dim (Matthew McConaughey), also known as the Man in Black. The Gunslinger must prevent the Man in Black from toppling the Dark Tower, which is the key that holds the universe together. With the fate of entire worlds at stake, the two men collide in an ultimate battle between good and evil. On one hand, this is a fairly entertaining stand-alone action/adventure film with some notable positives. On the other hand. . . fans of The Dark Tower books are not going to be happy. Starting things off with the positives, the cast of The Dark Tower deserve their due praise. Regardless of source material, any movie that stars Idris Elba and Matthew McConaughey demands full attention opening night. I have personally never read any of King’s legendary franchise, so I am not at all familiar with how close these cinematic portrayals are to their respective characters. All I can judge is based on what was onscreen, which is all pretty damn cool. 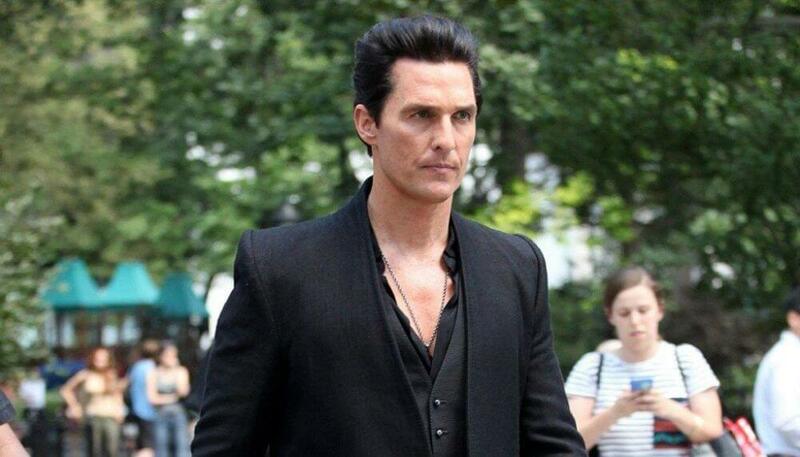 McConaughey gives a very subdued, yet very chilling performance as the Man in Black, this universe’s version of the devil. It’s fun seeing him playing a villain, which honestly isn’t too far off from some of his other roles. As for Idris Elba, he was born to play the hero, and a character like Roland fits him like a glove. This film introduces the world to Tom Taylor, who makes his debut playing Jake Chambers. There is certainly room for improvement, but there is also undeniable potential. The general premise of this movie is simple but effective. It is a standard “good vs evil” narrative that has been seen time and time again. TO be honest, that is perfectly okay. The story, such as it is, really only moves our characters from point A to point B, providing context for the action scenes, which are admittedly pretty awesome. This is director Nikolaj Arcel’s Hollywood feature debut. Coming off this movie, he could have a solid future within the action genre. If Warner Bros. is still looking for a director for Suicide Squad 2, that sounds genuinely like a movie that would do well under his direction. As mentioned previously, this movie is just fine as a standalone film, but therein lies its fundamental problem: Sony did not intend to make a standalone film here. The Dark Tower franchise has a rich mythology, spawning nine books and dozens of graphic novels published by Marvel Comics. So, why set this movie after the events of its source material? Do studioheads not realize that the entire appeal of this universe has essentially been skipped over? It is almost as if Warner Brothers, when adapting the Harry Potter franchise, began with The Cursed Child instead of The Sorcerer’s Stone. As far as runtime is concerned, once again, for any other movie brevity would not be a problem. But for The Dark Tower, 95 minutes makes the plot feel like it is rushing to the finish line. There is hardly enough time to explore the universe, nor is there opportunity to really get to know characters beyond what the plot tells them to do. There are a couple of fun Stephen King Easter Eggs sprinkled throughout that just begin to hint at all the fun that could have been had with the idea of a King multiverse. Underscoring everything is JunkieXL’s musical contributions, which are never a negative. It is a shame he is no longer composing Justice League, but at least he gets to do what he does best in this film, which is adding that extra punctuation to action scenes, making them feel larger than life. The Dark Tower is not a disappointment, per se. This is only because I was never quite attached enough to the source material to build up high expectations. With that said, I want this movie to succeed just so we can explore more of Stephen King’s Multiverse. It is a shame that we might never see more from this cast and source material, which are both too good to waste on this one mediocre feature film.